CLOSED- Winner is Naima G. Congratulations!! The first thing that comes to mind when I hear the name Costco, is bulk shopping. After all, it is a warehouse store filled with a variety of items for home and business. I was beyond thrilled to learn that my local area is FINALLY getting a warehouse! I have watched the documentary on TV before about the Costco Craze and have been obsessed intrigued ever since. I will be taking a tour of the new Costco and will report back with the details. I do want to share a few things in advance. Of course, Costco offers an array of well known brand names of food, household, health and beauty items as well as their very own brand, Kirkland Signature. I have to say that I am very impressed with the selection I have seen so far. Their signature line of products even include organics. 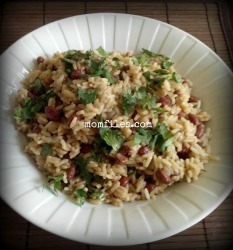 I have tried out several of the food products and the quality has exceeded my expectations. Those dried blueberries are great for snacking or adding to oatmeal, cereal, trail mix or even in pancakes or muffins. The fruit snacks are so yummy and are perfect for lunch boxes. Costco has a pharmacy and offers health and wellness clinics on scheduled dates/times. They have delivery service too. Planning a trip? Costco can help with their travel services to help you find the perfect destination for a cruise, rental car, hotel and more. You can even shop their different areas of service including phone services, auto program, bottled water delivery, mortgage services, and even life insurance. Needless to say, Costco seems to have most areas covered! They have different membership levels so take a look and see which one suits you best. I am so happy that I can finally experience Costco for myself. I'm looking forward to checking out their fresh produce, meats, and wine selection. I am so thrilled to be able to offer a HUGE giveaway to my loyal readers. 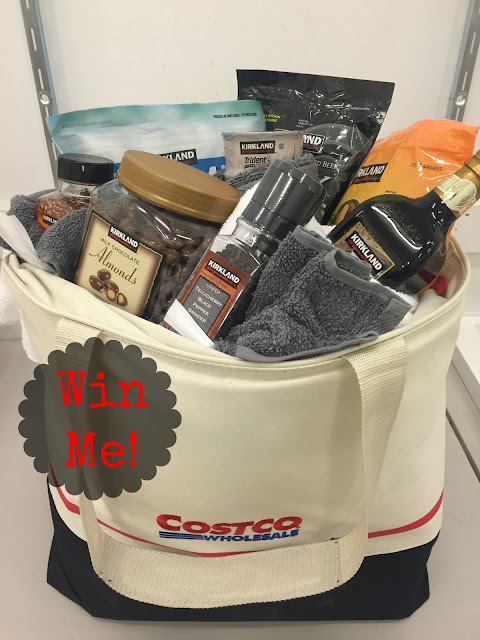 Enter below to win a Costco gift bag filled with a variety of Kirkland Signature products and more. This giveaway is open to US Residents only and will close on August 22, 2016. One winner will be selected at random and will be contacted via email to claim prize. Be sure to follow rules in Rafflecopter for entries to count. Good luck! I received products samples and information from Costco in partnership with them to share the latest about their brands/products. All opinions are my own as always. I am most excited to try the balsamic vinegar! I'm excited to try the chocolate covered almonds! the chocolate covered almonds and the steak! The cashews and the balsamic vinegar sound wonderful to me! I'm excited for Chocolate covered almonds! so so yummy! I want to try the Cashews and the Chocolate Covered Almonds. The email I follow with is cshell090869@aol.com. I entered it wrong in the form. I am looking forward to trying Kirkland Signature Cashews. I would like to try the cashews! I want to try the chocolate covered almonds. I am excited to try the Cashew Clusters, and the chocolate covered almonds! All the items look amazing! The chocolate covered almonds sound amazing! I'd love to try their Balsamic Vinegar! I'm excited about the Chocolate Covered Almonds!!!! 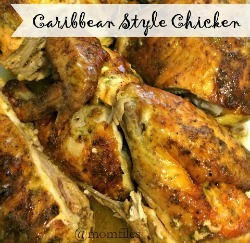 YUM!!! I 'm excited to try the Organic Salsa & Costco Keep Cool Bag. I would love to try their chocolate covered almonds! The Chocolate covered almonds caught my eye right away! I would like the fruit snacks and the AAA batteries. I love the canned salmon but would love to try the protein bars and dried steak strips. I am excited to try the KS Cashew Clusters. I love cashews! The organic salsa and the chocolate almonds! 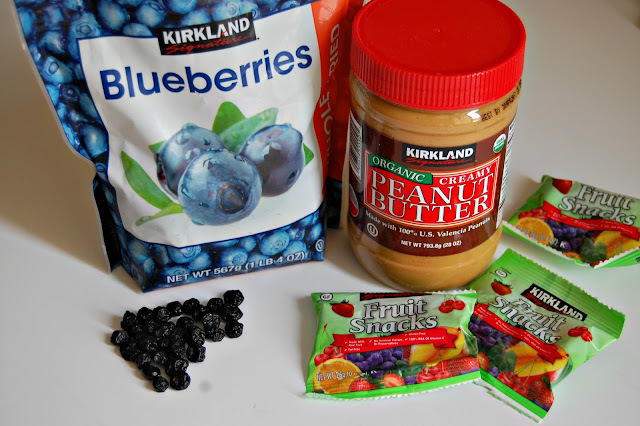 I love Kirkland products and would be excited to try the Organic Creamy Peanut butter. I'm excited to try the trail mix! The cashews and trail mix sound good. The chocolate covered almonds look amazing! I am excited to Wild Pink Salmon and Balsamic Vinegar. The organic salsa...we love chips & salsa in this house! Wow amazing bag of goodies! I am excited to try the KS Cashews. I am most excited to try the wild pink salmon. I want to try the salmon and cashew clusters the most. The chocolate covered almonds sound fantastic. KS Wild Pink Salmon-I want to try that. I would love to try the KS Chocolate Covered Almonds. I would love to try the KS trail mix!! I am most interested to try the Chocolate Covered Almonds. I'd love to try the chocolate covered almonds! Oh I am really excited to try their Cashews, Batteries, and Bacon Crumbles! Im very excited about their Organic creamy peanut butter being the peanut butter enthusiast that I am. I'm excited about the cashews as I love cashews. I really want to try the Cashew Clusters. I would be most excited for the KS Chocolate Covered Almonds. I'd like to try the Kirkland cashew clusters. I'd love to try the Salsa! I would like to try the Cashews and the Chocolate Covered Almonds. Excited to try the cashew clusters! and protein bars too. I want to try their Trail Mix. The fruit snacks and peanut butter! I've never had this brand before. I would love to try the cashew clusters! Sounds amazing. Thanks for the chance, Naima G.
I want to try the KS Organic Salsa! I love snack-y stuff so it's an equal tie between cashew clusters and the organic Kirkland salsa! I can't wait to try the Cashew Clusters!